Kathy E Gill | Mrs. John Marsh - Educator, WebUX, Writer. Rabble-rouser. 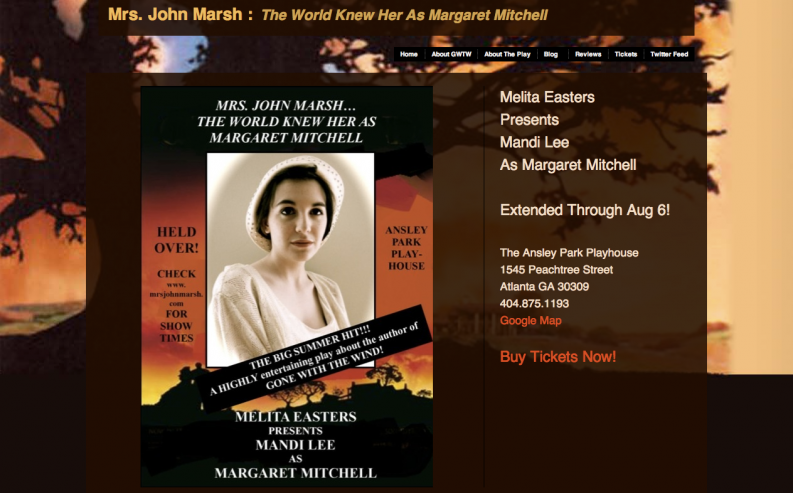 For the 75th anniversary of the publication of Gone With The Wind, Melita Easters reprised a one-woman play of her life in Atlanta as part of the city’s festivities. In addition to providing information about the play (and a way to buy tickets), the web site included history and highlights of the book and movie.